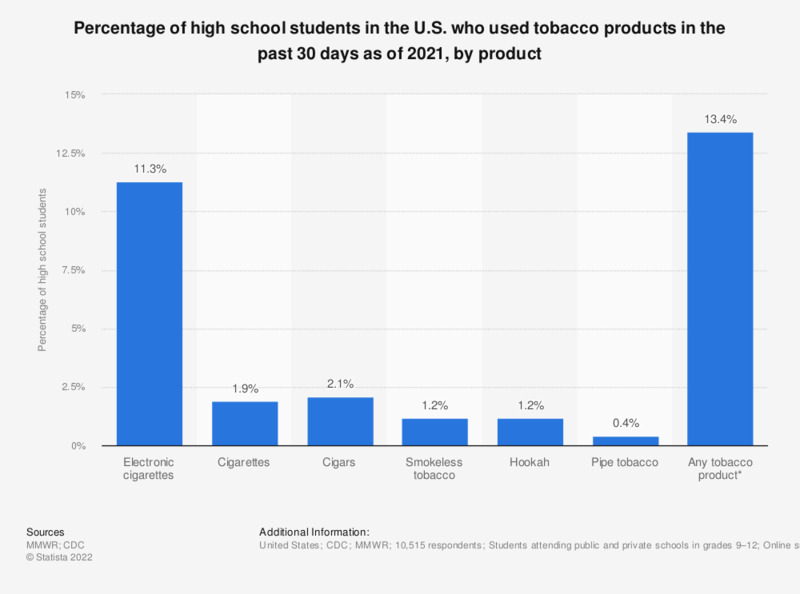 This statistic shows the percentage of high school students in the U.S. who used tobacco products in the past 30 days as of 2017, by product. It was found that 11.7 percent of high school students used electronic cigarettes in the past month, compared to 7.6 percent who used cigarettes. * Any tobacco product use is defined as use of any tobacco product (electronic cigarettes, cigarettes, cigars, smokeless tobacco, hookahs, pipe tobacco, and/or bidis) on at least one day in the past 30 days. Do you use electronic cigarettes (e-cigarettes) with the intention to quit smoking?